Join the fun! 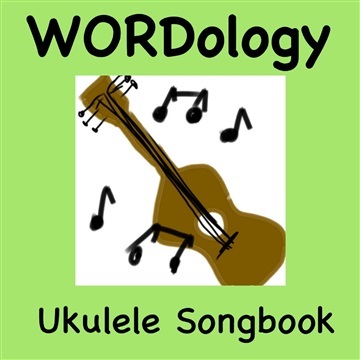 WORDology songbook gives you all you need to start singing WORDology Bible songs and get some of the Bible’s truth hidden in your heart. You can use our songs to lead your kids choir, help teach your kids to play ukulele, or just for your own enjoyment. "Ukulele Songbook" is simple ukulele/vocal recordings AND a PDF songbook of some of our best Bible songs. These are for you to play along with, or just listen to when you need a little encouragement during your day. Our easy to play songbook gives you the exact chords and lyrics to start playing our songs quickly. It can be read on any computer, tablet or phone. Or you can print them out to create your own songbook. So grab your uke, and start having fun! You can also stream all of our music on Spotify, Apple Music, etc. P.S. Feel free to record a video of you playing one of our songs! Send me the youtube link and maybe we’ll share it!